Great news for Dreamcast owners as TrekMD from RVG has informed the retro community, that 'Wind and Water Puzzle Battles' is available to buy online region free! 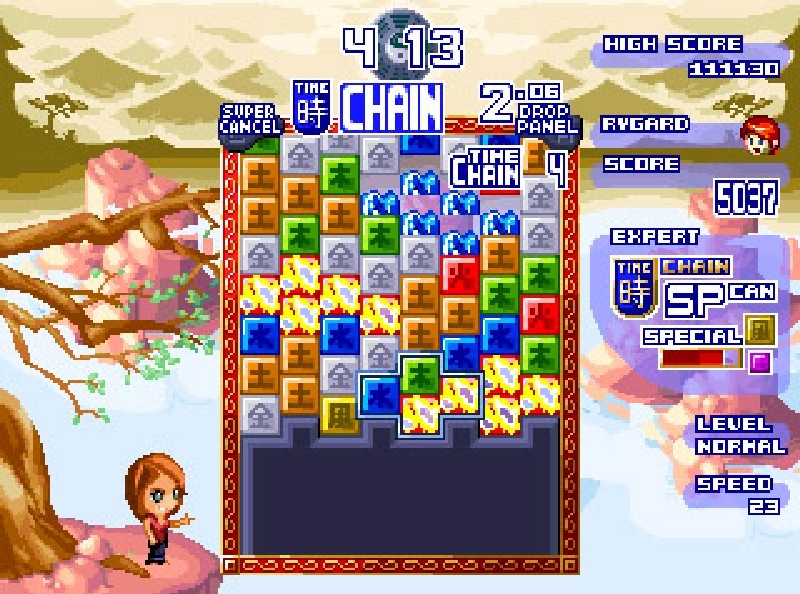 Developed by Yuan Works, this is a re-release of one of the best puzzle games for the DreamCast and a finalist at the Independent Game Festival 2008! In this game you'll come across beautiful retro pixelated graphics, many secret levels, mini games and much more all contained within a pro created picture CD and added 40 page English and Japanese booklet! * Story-Mode with tons of different Puzzle-Challenges and great story - about 20 hours of playing time alone!